The Fairfield University Stags Men’s Soccer Fall ID Clinic is all male soccer players. It is highly encouraging those players who are serious about improving their skills to join. This fall ID clinic will provide the participants a grasp on the daily routine of a collegiate student-athlete. Its sessions will focus on enhancing the technical and tactical skills of the attendees. In addition, the participants will also receive an evaluation from the coaching staff overseeing the training program. The whole experience will be competitive yet enjoyable. Furthermore, this soccer clinic will be on the 21st of October at the Lessing Field in Fairfield University campus. Fairfield University is a private, non-profit, coeducational, research university in Fairfield, Connecticut. It is a member of the Association of Jesuit Colleges and Universities. The university is also a member of the Association of Catholic Colleges and Universities. Moreover, Fairfield University is 3rd in the Regional Universities North, 2018 edition of Best Colleges rankings. It is also 19th in the Best Value Schools rankings. Currently, the university has around 5,000 undergraduate and postgraduate students. The student to faculty ratio is 12:1. Fairfield University sponsors 20 intercollegiate sports teams. They are competing in the Metro Atlantic Athletic Conference of NCAA Division I. Their nickname is Stags while cardinal and white are their official colors. The head coach of Fairfield University’s men’s soccer team is Carl Rees. The season will be his 18th season at the helm of the university’s men’s soccer program. Under his leadership, the Stags men’s soccer has already 4 NCAA tournament appearances. Coach Carl Rees is a United States Soccer Federation “B” coaching license holder as well as a NSCAA advanced national diploma. Then, the Stags’ assistant Javier Decima and Jonny Raj. Coach Javier Decima is at the same time the team’s goalkeeper coach. He is also a NSCAA Advanced National Goalkeeping Diploma and a NSCAA National Diploma holder. 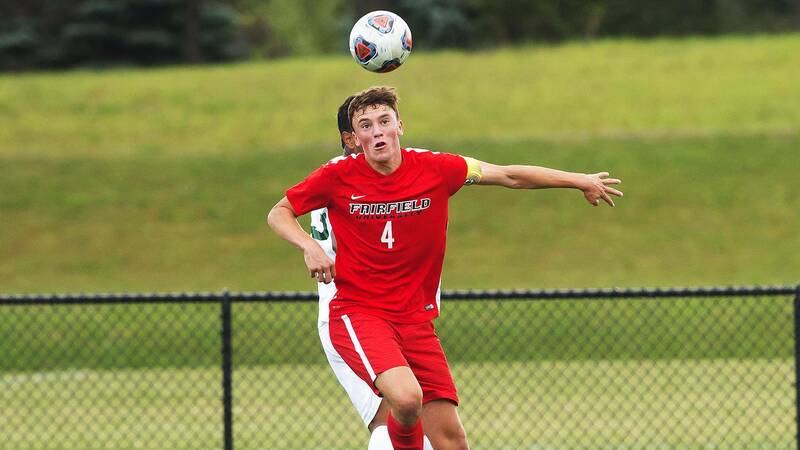 The Fairfield University Stags Men's Soccer Fall ID Clinic is encouraging those players who are serious about improving their skills to join.